What is the USTA Eastern Pathway for tournament players? These Sectional Closed Championships are the pinnacle of competition in the Eastern Section. L1 tournaments are for sectional residents only who represent the top-ranked individuals around and may be ranked nationally as well. The Eastern Level 1 Championships are open tournaments that are the next step up geared for those advanced ranked players. The Eastern Level 1 Challenger events are open tournaments for intermediate and advanced players. These Eastern Level 2 Championships are open tournaments for the intermediate, ranked players. The L2R is a Regional Championship tournament for the same intermediate, ranked players. However, only regional residents can compete in these closed tournaments. These are our introductory tournaments designated for unranked players (UPS) only. 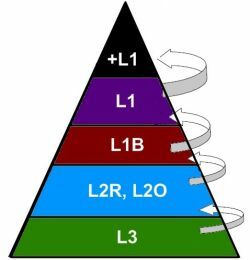 After winning two Level 3’s you must move on to compete in Level 2 (L2) tournaments.